Friday 5th June. A day I had been counting down to for about 6 months but when it arrived I couldn’t believe it had come round so quickly! No it wasn’t my due date (yet!) it was my last day at work! The day was such a strange one – I was still extremely busy training up my replacement, trying to sort out my own personal admin, filing all my important emails and of course saying goodbye to everyone! On top of that, I also had to deliver a training session that had been rearranged last minute and needed to be done before I left. Overall it was a fab day – I felt relaxed even though I was so busy, and the day flew by! I chose to stay quite late in my pregnancy – I was 37 weeks pregnant, but I didn’t want to be stuck at home for ages as I knew I would get bored (especially if I went overdue!) but by the end of the day I was well and truly ready to leave. My lovely colleagues did a presentation for me and showered me with some lovely gifts (which I unfortunately forgot to get a photo of). It also happened to be my firms big summer party, so we all went outside to enjoy champagne (well, cranberry juice for me!) and sunshine. It was a lovely last day and whilst I didn’t cry, I did feel more emotional that I thought I would (bloody hormones). It was lovely to lie in bed on my first day of maternity leave – get up when I wanted to, eat what I wanted, when I wanted and watch whatever I wanted on TV. Being June, it was very hot and my feet and legs were extremely swollen so it was great to be able to finally sit in just my pants with my feet up! Did I miss work? Funnily enough, no I didn’t. I missed my friends and kind of missed having a routine, but I kept myself busy! I decided that being 9 months pregnant was the perfect time to make a pair of curtains from scratch, as you do. 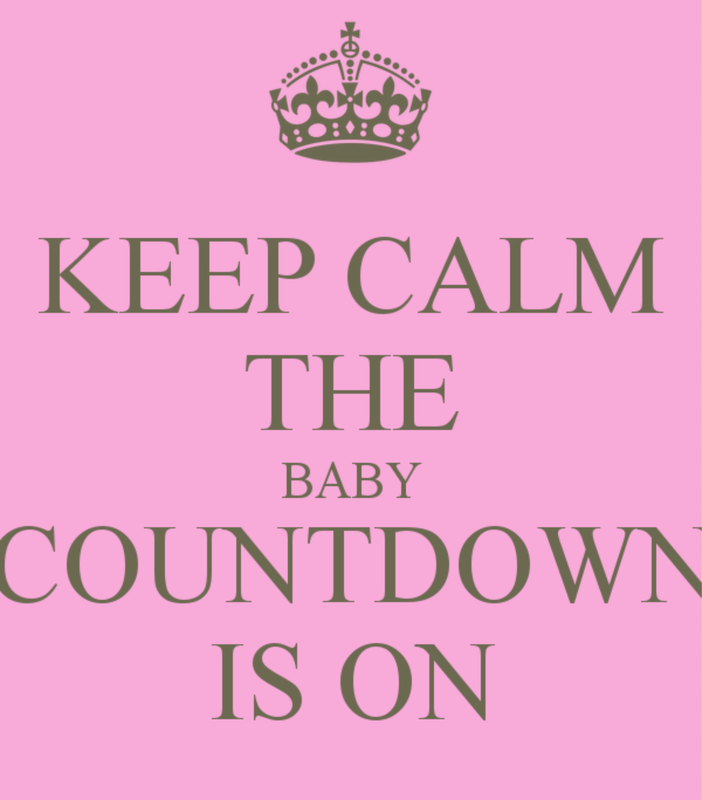 With work finished and my maternity leave in full swing, all we needed to do now was wait for baby to arrive….